Good news - the IRS reports fewer taxpayers reported identity theft in the first 5 months of this year (107k) than in 2016 (204k) and 2015 (297k). It seems better risk management techniques that include: improved coordination between the IRS and private sector tax preparers, better technology filters, limiting the number of refunds that can be send to a single bank, and other factors have all helped reduce this risk over time. Enterprise risk management - (ERM) has become a key part of all banks' day-to-day plans and long-term strategic planning. As ERM continues to become more sophisticated, with threats becoming more prevalent and more confounding, community banks should try to embrace new technologies to better monitor and mitigate risk. Changes in leadership at the regulatory agencies may also impact the industry's view of enterprise risk, as regulatory reform discussions have been in the works even before the last election. Credit and loan risk - US banks are preparing to implement the new Current Expected Credit Loss (CECL) standard for loan loss accounting, which will require banks to make significant changes to data collection, analytics and processing systems. In the new CECL environment, data integrity and keeping a close eye on portfolio concentrations and underwriting standards on loans will become more important than ever. Interest rate risk - The Fed has raised the federal funds rate 2x so far this year (Mar & Jun) to a range of 1.00% to 1.25% currently. The Fed projects 1 more rate hike this year, taking things to about 1.50%. Looking forward the federal funds rate is projected to rise to about 2.25% in 2018 and 3.00% in 2019. In the face of this rising rate environment, community banks should revisit deposit pricing pressure expectations and overall strategy for controlling related risks. Liquidity risk - Bank executives are paying close attention to deposit funding risk, as core deposits have surged for many years. Bankers should examine the behavior of liabilities and model alternative assumptions to prepare. Operational risk - For community banks, this risk often equates to vendor risk management and succession planning. Why? Community banks often rely heavily on third-party vendors for everything from core banking to payments processing to technology support. As such, focus on strengthening risk management of these third parties to protect your bank. Data quality, analytics, and reporting - Regulators have made clear that they expect all banks to have the capabilities to access and provide high-quality data. This includes ensuring credible internal reporting and MIS to support regulatory reporting requirements and management information. Regulators expect community banks to: conduct a maturity assessment of data management capabilities; document gaps that exist in reporting requirements; and demonstrate a focus on continuous improvement for data. For this last point, you need to have a governance process that includes reporting functions (such as risk and finance) and data production functions. 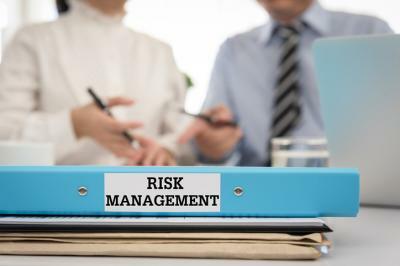 Of course, this list is only a partial one, but we hope it helped to get you thinking about the important aspects of GRC and improving risk management. Yields slipped 2bp as GDP data came in slightly below expectations with downward revisions to Q1 data. A Deloitte survey of board members and C-suite executives on risk management finds: 82% believe they are taking the right amount of risk, 82% are also confident or extremely confident that their risk management activities are optimizing outcomes across the company and 73% say their risk management programs support the business strategy. National Association of Corporate Director research finds boards of directors spend their time as follows each year: attending meetings (73 hours), reviewing reports and other materials (61), traveling for board events (38), informal meetings or conversations with management (30), director education (19) and representing the company at public events (8). Moody's reports cash held by non-financial US companies has jumped to $1.8T as of the end of last year and 70% of that is held overseas. Apple accounts for the most at 13% ($246B), with 94% of its cash held overseas. PwC research finds the average enterprise investment in emerging technology was 18% of a company's total digital technology budget as of the end of last year. A Deloitte survey of global CIOs finds 37% say their tech budgets have increased by up to 20% over the prior fiscal year and 12% say the increase has been over 20%. A Segmint survey of bank customers finds 64% would rather take care of their banking needs online or through a mobile app than visiting a physical branch or office. IBM defines zero-day as "an unknown vulnerability in an application or a computer operating system."